Historic sales prices, especially when considered relative to other home prices in the area. Square footage, and perhaps, more importantly, the bedroom and bathroom count. Age and condition of the home, taking into account factors such as historical protection status, repairs needed, etc. Quality of the neighborhood, urban/suburban/rural setting, accessibility of nearby amenities and professional opportunities, and other location-based factors. In addition to these constants, there are always bound to be a few trending home features that buyers are willing to pay a premium for. Being aware of which property traits are currently in-vogue can be very useful to both buyers and sellers alike. If you are in the market to buy a home, for example, you should be careful not to overpay for such items simply because they are stylish. Sellers, on the other hand, can benefit from highlighting such features and calculating their asking price accordingly. Smart home integration. Tech plays an increasingly important and ubiquitous role in our lives — which is why it should come as no surprise that smart home technology is more popular than ever. Though any home can theoretically be turned into a smart home with a bit of hard work and investment, houses that are already equipped with fully integrated automation systems are sure to wow potential buyers. Hot tubs. 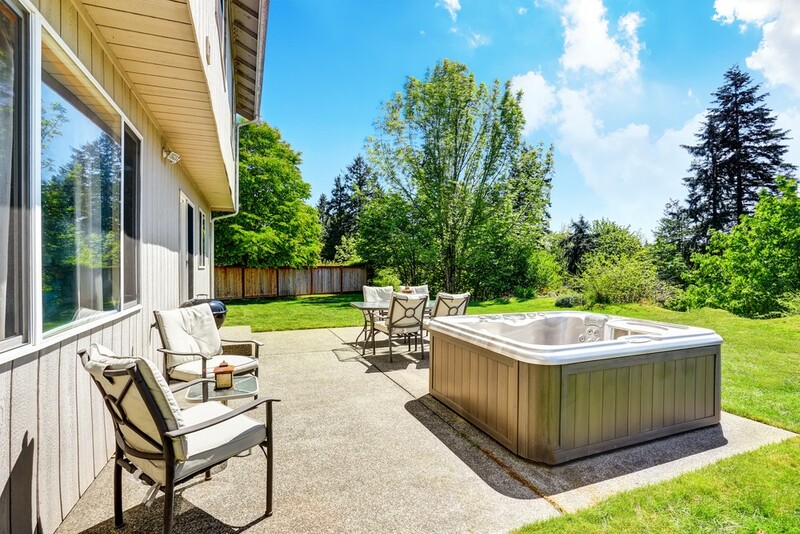 A well-maintained permanent hot tub fixture can add objective value to your home while also creating an additional psychological incentive for buyers to choose your house. (The perception of luxury can make quite the difference, after all.) However, if you don’t currently have a hot tub, running out to invest in one before selling probably isn’t worth it — the cost of installation can be steep, and some buyers might prefer the option to design their own backyard. Home offices. Thanks to the web and the so-called “gig economy,” more Americans work from home now than ever before — and this trend is expected to continue growing. Because of this, home offices have become an especially valuable selling point. Be aware that buyers might place just as much value on an office space as you might traditionally expect them to place on an additional bedroom! Energy efficiency. Americans are increasingly environmentally conscious, which means they place additional value on energy-efficient home features. Moreover, green homes can be extra cost-efficient for homeowners as well, as they reduce expenses associated with heating, cooling, electricity, etc. Want to learn more about the current real estate market in eastern Virginia? Visit Blue Marble Properties online today to read more informative blog articles, browse property listings, discover home selling strategies, and much more!